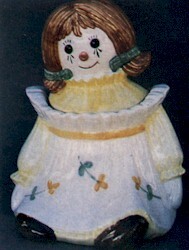 Pretty Ann cookie jar by Metlox. Marked "Poppytrail CA". Small chip on nose.